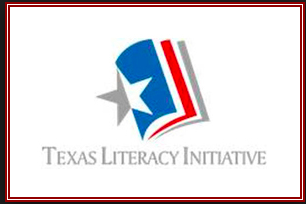 The goal of the Texas Literacy Initiative (TLI) is to ensure that every Texas child is strategically prepared for college and career literacy demands by high school graduation. TLI integrates and aligns early language and preliteracy skills for children from infancy to school entry. For students in grades K-12, TLI emphasizes reading and writing instruction. For more information on TLI, please visit: tea.texas.gov/literacy/TLI/.